Worn one or two times. Only sign of wear is on soles. 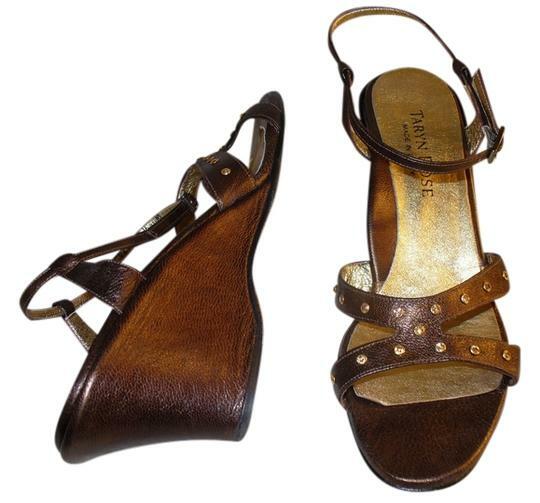 Gorgeous preowned Taryn Rose Delta chocolate or bronze leather with clear crystals or rhinestones with 3 inch heels open toe sandals in wedge style in size 9 or 40. 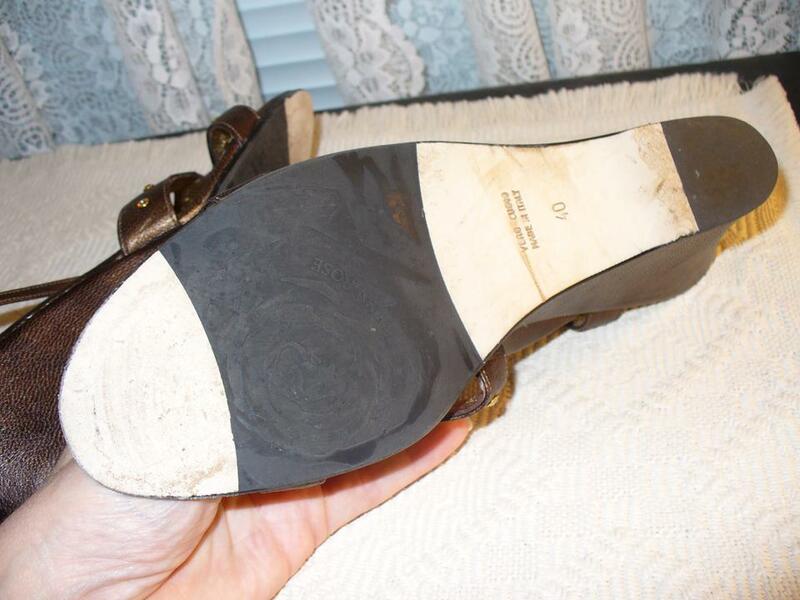 The soles are leather and stamped Made in Italy and the middle of the sole is rubberized. They were worn one or two times and condition is pristine, just like new.